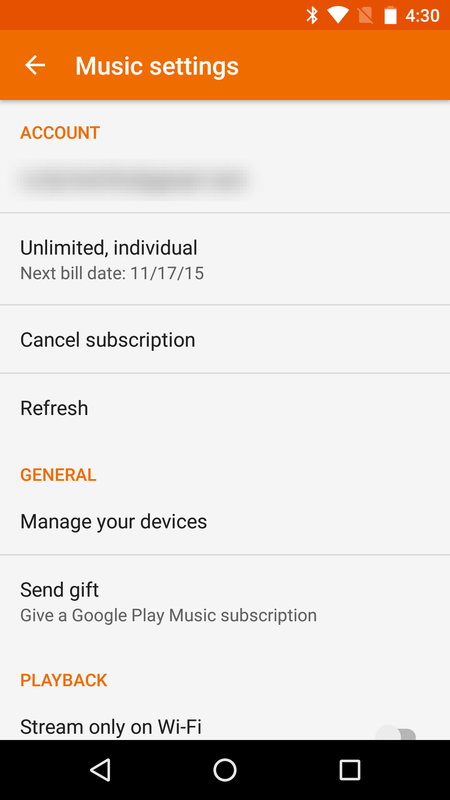 Left: old version of Settings. Center: new version of Settings. Right: Auto-offline. The first thing you might notice if you peek at the Settings screen is that it has been almost completely rearranged. There are a few more headings and a few options have either been renamed or given slightly different descriptions, but the basic list of features remains the same. There is one addition, though. 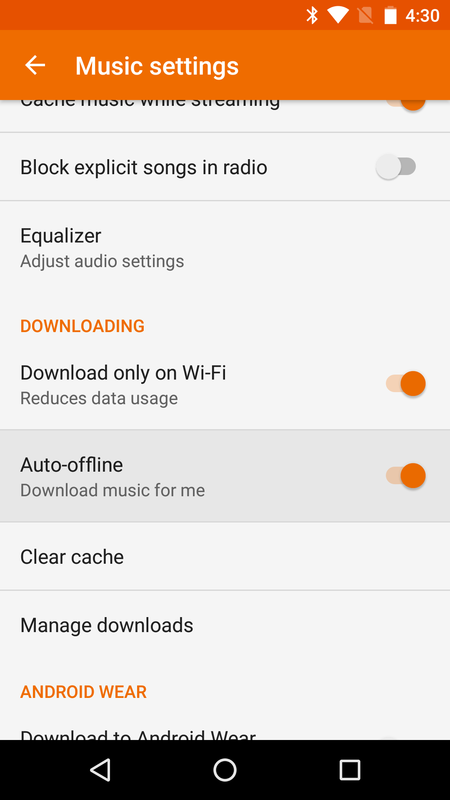 Beneath the Downloading section, there is a new option called Auto-offline, which simply claims it can download music for you. 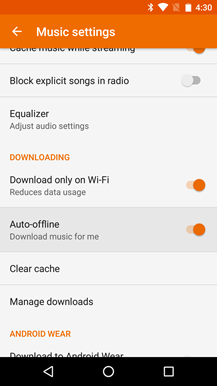 It's obviously for caching music when you're not going to have consistent access, but how that music is selected, how much is chosen, and when it changes (because it should probably rotate at some point) aren't mentioned. This is probably worth experimenting with for a little while, but might ultimately work much better for some users than others. 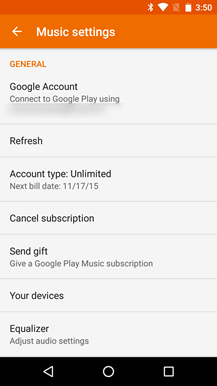 If you're looking forward to Google's family plan for Play Music and YouTube Red, that time is getting closer. We obviously know it's on the way, but a specific launch date was left out of the announcement. 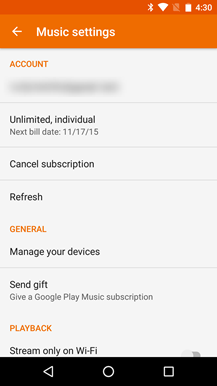 Some new text and code in the Play Music app suggest this is probably the first version to fully support family plans. There's really nothing significant to add based on these bits, but the fact that they're here means Google is getting things lined up to make family plans available. Generally speaking, this is a good sign that we're getting close to an official launch. If you're not sick of hearing about Android Wear and speaker support, here's one more tidbit that should leave you with some mixed feelings. 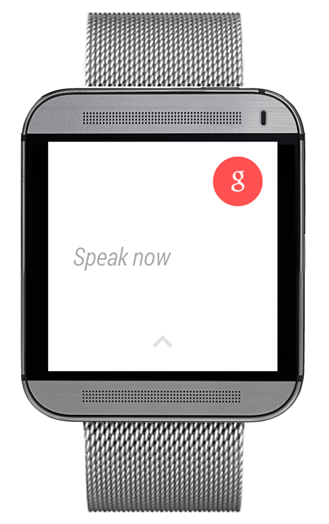 Play Music will be able to output audio through the speaker in your Android Wear watch. 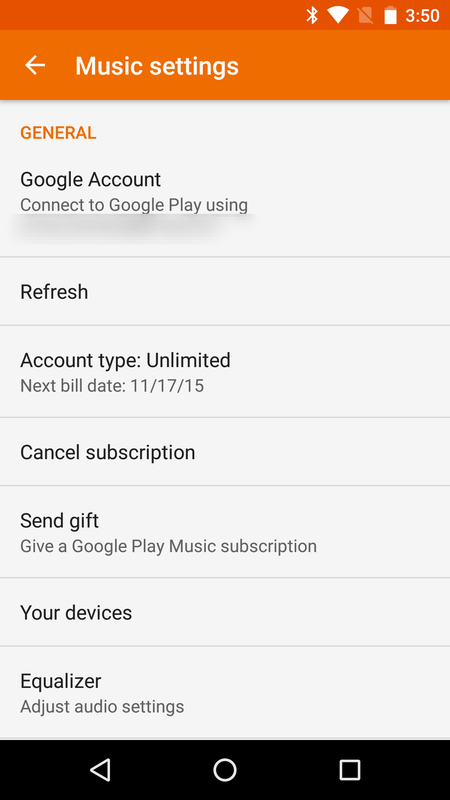 The strings below were pulled from the micro-apk included with Play Music. They allow the user to determine if they want to output music through their headphones or a speaker. The options will probably only appear if both types of output are available, otherwise playback should default to whichever one is actually present. The thing you should obviously ask yourself is if you actually want to listen to music through any speaker that would be found in a smartwatch. That's probably not going to be a great sound, but it might be good enough if you're out for a run and just need to hear something resembling the track you want to play. Of course, even tiny speakers would be enough if you're just listening to podcasts on Play Music, so this might not be so questionable. 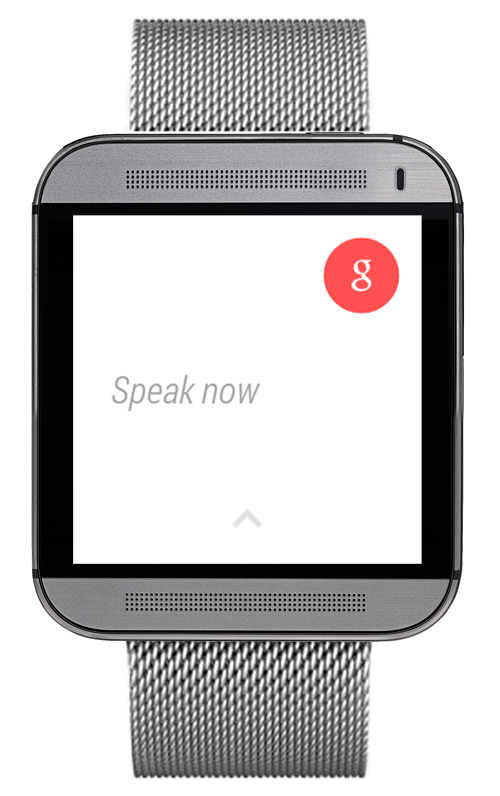 On the other hand, maybe it's time for HTC to release the elusive Boomsound watch we've all been dying to see. Yes, this was just a joke. A joke that might be kind of awesome if it actually happened.